The countdown is on for one of the most awaited video games of 2019, “Kingdom Hearts 3.” Unfortunately, being exposed to leaked spoilers comes with the territory of being one of the popular titles in the gaming industry. In an apparent move to avoid further leaked spoilers, Square Enix decided to delay a couple of videos that would complete the story. Developers recently announced that the epilogue and a “secret video” would be added in an update after the official “Kingdom Hearts 3” launch later this month. The video game company announced, in a series of tweets, that the epilogue and a “secret video” will be added on Jan. 30 and Jan. 31, respectively. 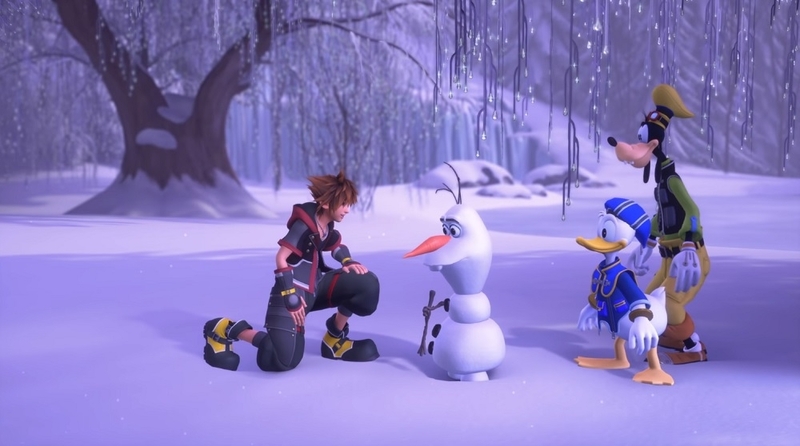 Both contents can only be viewed by players who have completed the game and have watched the end of the story included in the original release date of “Kingdom Hearts 3” on Jan. 29. The said statement from Nomura came after confirming that a small portion of the “Kingdom Hearts 3” has leaked online. Nomura did not discuss the source of the leak, but it came from a seller of allegedly stolen copies of the game. The incident led to Square Enix’s anti-spoiler measures such as delaying the release of the said videos. Meanwhile, on the same launch day, developers will release Update 1.01 for “several data fixes” and to add the Memory Archive menu option on “Kingdom Hearts 3.” Square Enix described this addition as “a digest of the #KingdomHearts story in the series up to this point.” This means that the upcoming option possibly works like a recap of series highlights since the game is billed as the finale to the trilogy game.